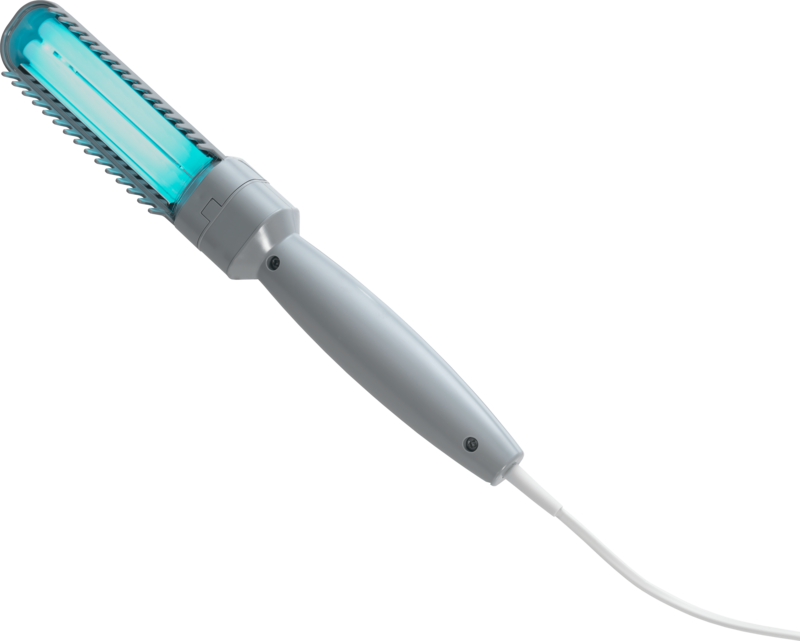 The N-LINEt Module is our small and portable unit designed for the efficient treatment of localized body areas. The special design makes this device versatile and convenient. The Module can be used in multiple position. A special design makes the individual treatment of hands, feet and other areas of the body easy and comfortable. This powerful device increases therapy efficiency. 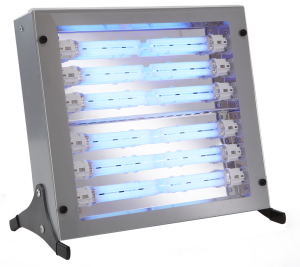 High intensity UV light significantly reduces required treatment time to a minimum. Due to its small dimensions, the device is convenient to use and easy to store in the office and especially in the patient’s home. The design of the N-LINEt Module allows for a very versatile use of the device. Placed flat on a table or the floor, hands or feet can be placed on the irradiation field, at an angle that allows a comfortable treatment position. Depending on the indication, the module can also be used in a vertical position for the treatment of other body areas. Due to its small dimensions, and flexibility it is ideal for home use. All surfaces are easy to clean and its operation is safe and easy with its electronic timer. Compared to conventional hand and foot phototherapy units, the N-LINEt Module offers several technical advantages. 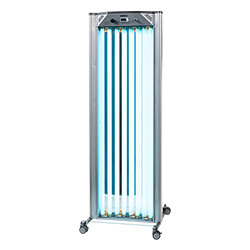 By using a configuration of 2 banks of smaller 9 watt UV tubes parallel to each other, instead of one longer tube bank, the hands and/or feet are always positioned over the center of each small tube for maximum UV energy. A polished aluminum reflector ensures a uniform light distribution and increases the efficiency of the tubes – this also saves energy and operating costs.